The Sr High Hornets are geared up and ready to outperform their fellow competitors in this weeks 2A-4 Sr District shoot-out which is being played in Danville. The Lady Hornets just ended conference play last Friday with their dual against the Lady Rebels of Westside. Unfortunately, Hackett picked up a 48-33 loss which set the seal on their 3-9 conference record. 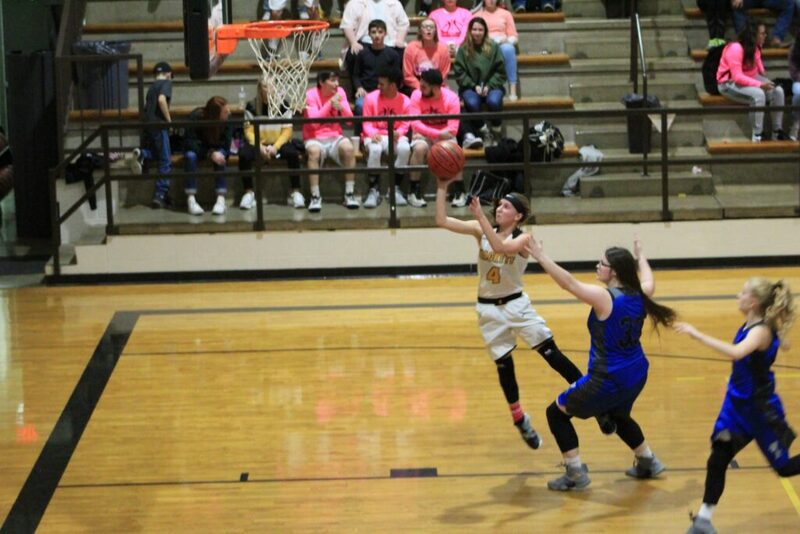 The Lady Hornets sit at the #7 seed and will go after the #6 Lady Rattlers in tonights game at 6 p.m. 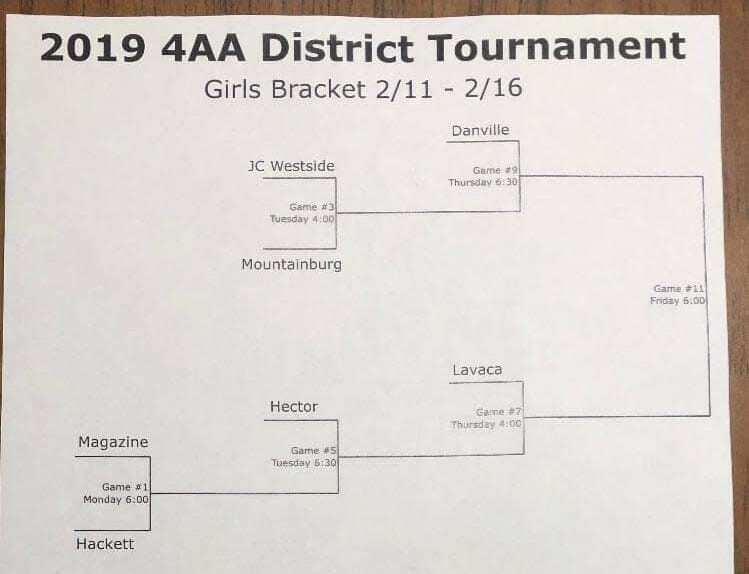 The winner will go on to play #3 Hector on Tuesday at 6:30 p.m. The Hornets are still flying high over their final game of the season. Taking on the Westside Rebels, Hackett won by a landslide with a final score of 59-28. The Hornets are locked into the #4 seed position with their 7-5 conference record. 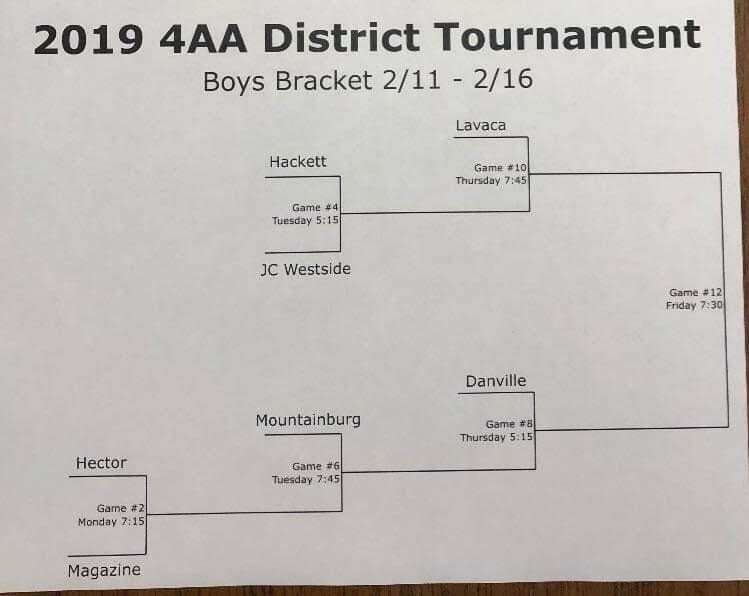 Hackett and Westside will get round two against eachother with their first District game on Tuesday at 5:15 p.m.